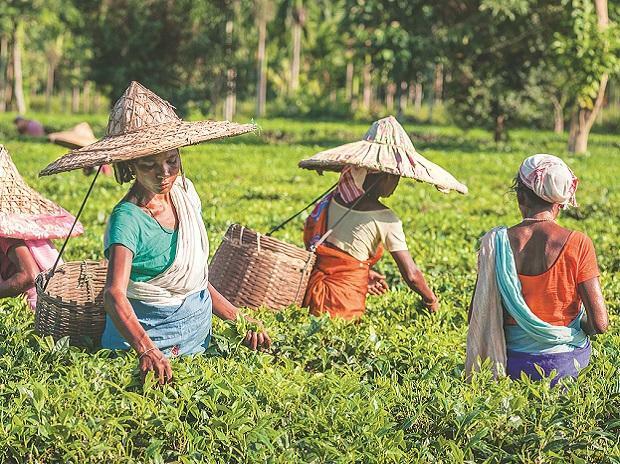 India's estimated tea production fell by around 6.7 per cent to 151.38 million kg in July from 162.28 million kg produced in the year-ago month, according to data from the Tea Board India. According to provisional data from the Board, tea export during January-July period was up by about 6.5 per cent to 133.21 million kg as against 124.99 million kg exported in the year-ago period. In value terms, export during the first seven months of 2018 was at Rs 2,618.83 crore, up by 6.75 per cent from Rs 2,453.18 crore in the corresponding period in 2017. Exports to neighbouring Pakistan, China and Iran went up significantly while the shipments to Germany and CIS countries were down. Estimated production data suggested the fall in absolute term during July was due to drop in the crop production both in north and south India. In north India, Assam's estimated production for the month decreased to 87.15 million kg as compared to 91.09 million kg produced in the corresponding month of 2017 while West Bengal's production for the month stood at 44.86 million kg, down from 48.02 million kg produced in the same month of 2017. Taking Assam, West Bengal and others together, the estimated crop production during July in north India dropped to 135.27 million kg as against 142.81 million kg produced in July 2017. In south India, including Tamil Nadu, Kerala and Karnataka, the tea production was at 16.11 million kg in July as against 19.47 million kg produced in same month in 2017. However, on the exports front, tea shipments to CIS countries, including Russia, Ukraine, Kazakhstan and others, were at 33.53 million kg in the January-July period of 2018, down from 36.09 million kg exported in the same period of 2017. Exports to the UK at 6.45 million kg were up marginally in the period under review, as against 5.54 million kg shipped out in the year-ago period while exports at 4.97 million kg to Germany during the period were down marginally from 5.06 million kg exported in the corresponding months of 2017. However, tea exports to Iran went up to 15.24 million kg in the period under review, up by over 15 per cent from 13.21 million kg in the year-ago period. As much as 7.62 million kg of tea was shipped out to Egypt during the first seven months of 2018, up from 4.67 million kg in the year-ago period. Tea exports to neighbouring Pakistan stood at 8.50 million kg in the period, up by over 48 per cent from 5.73 million kg exported in the corresponding months of 2017. India's tea exports to China during the period were up at 5.78 million kg as against 4.44 million kg in the same period of 2017.